Short-duration sprints, interspersed with brief recoveries, are common during most team sports. The ability to produce the best possible average sprint performance over a series of sprints (≤10 seconds), separated by short (≤60 seconds) recovery periods has been termed repeated-sprint ability (RSA). RSA is therefore an important fitness requirement of team-sport athletes, and it is important to better understand training strategies that can improve this fitness component. Surprisingly, however, there has been little research about the best training methods to improve RSA. In the absence of strong scientific evidence, two principal training theories have emerged. One is based on the concept of training specificity and maintains that the best way to train RSA is to perform repeated sprints. The second proposes that training interventions that target the main factors limiting RSA may be a more effective approach. The aim of this review (Part II) is to critically analyse training strategies to improve both RSA and the underlying factors responsible for fatigue during repeated sprints (see Part I of the preceding companion article). 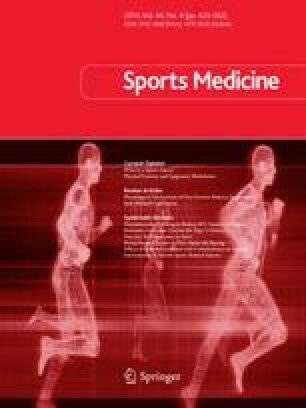 This review has highlighted that there is not one type of training that can be recommended to best improve RSA and all of the factors believed to be responsible for performance decrements during repeated-sprint tasks. This is not surprising, as RSA is a complex fitness component that depends on both metabolic (e.g. oxidative capacity, phosphocreatine recovery and H+ buffering) and neural factors (e.g. muscle activation and recruitment strategies) among others. While different training strategies can be used in order to improve each of these potential limiting factors, and in turn RSA, two key recommendations emerge from this review; it is important to include (i) some training to improve single-sprint performance (e.g. ‘traditional’ sprint training and strength/power training); and (ii) some high-intensity (80–90% maximal oxygen consumption) interval training to best improve the ability to recover between sprints. Further research is required to establish whether it is best to develop these qualities separately, or whether they can be developed concurrently (without interference effects). While research has identified a correlation between RSA and total sprint distance during soccer, future studies need to address whether training-induced changes in RSA also produce changes in match physical performance. The authors have no conflicts of interest that are directly relevant to the content of this review. No funding was used to assist in the preparation of this review.